How Long Will The Horizon Elite E9 Last? The Elite E9 has a few features that help to prove its value, but its build is not one of them. We do not suspect that Horizon used the best quality components to make the Elite E9. With that said, this elliptical is backed by a reputable company. So, if the elliptical does break within the warranty time frame, then you can rest assured that it will be properly fixed. With that said, we would not recommend the Elite E9 for a heavy user or even a moderate user who workouts out daily. A light-moderate user who works out every other day or even a few times a week will more than likely see the longest life out of the Elite E9. There are many brands on the market that do not have the updated technology like some of the leading brands, but they compensate with additional features or better-quality builds. Similarly, though the Elite E9 does not have the best quality or best console, Horizon has compensated with more built-in workouts and a better warranty. While we do not think that the Elite E9 should be bought at full price, we do think that it is a decent elliptical that has the potential to offer a good workout. Consequently, we have placed Horizon’s Elite E9 in the Runner-Up slot among our $1,500 to $1,999- dollar 2019 Best Buys. To start on a good note, we are glad to see Horizon including more features that help to make up for its dated design and dated technology. Even though this elliptical does not come with the most valuable electronics, Horizon has equipped the Elite E9 with the most workout programs out of our top four in this price range. With a whopping forty-three built-in workouts, you are certainly not likely to get bored with this machine. We also like the thirty-pound flywheel that comes with the Elite E9. The general rule of thumb is that the heavier the flywheel, the smoother the feel since the flywheel is designed to continue the flow of inertia. Think of pushing a ball down a hill. Eventually, the force you applied to the ball will wear off, but the ball continues to roll through inertia. Likewise, the flywheel is meant to carry the inertia through each pause in force as you push and pull between each stride. Typically, the heavier the flywheel is, the better chance that it will have at providing a smooth feel. Hence, the Elite E9 has a greater likelihood of providing a smoother workout. We also like the added value of Horizon’s warranty. The Elite E9 comes with a lifetime frame, five-year brake, five-year parts, and two-year labor warranty. This warranty alone is better than others in this price range. But this warranty is also backed by a more reputable company than say Proform or NordicTrack. Horizon belongs to the Johnson family and is known to have a reliable service base as well as a good customer service department. So, even though you don’t receive as many features, your Elite E9 is backed by a well-known company. Nonetheless, we do have a few issues with the Elite E9. First of all, the console is not as sleek and advanced as many of the other consoles on the market. Additionally, this model does not have the best quality components. For instance, this elliptical is the lightest out of our top four. While the weight of the unit is not the tell-tale sign of a strong build, it is common sense that it takes more cheap metal to reach a hundred pounds then it does high-grade steel. Thus, the Elite E9 does not have many indications of durability. With this, we do not believe that the Elite E9 is the best value for the price. If you can find it on sale, then it is a different story. But for sixteen hundred dollars, you can find a better-quality machine. In other reviews, we have said that Horizon’s Elite E9 is not a bad quality machine but does not have the best price tag. 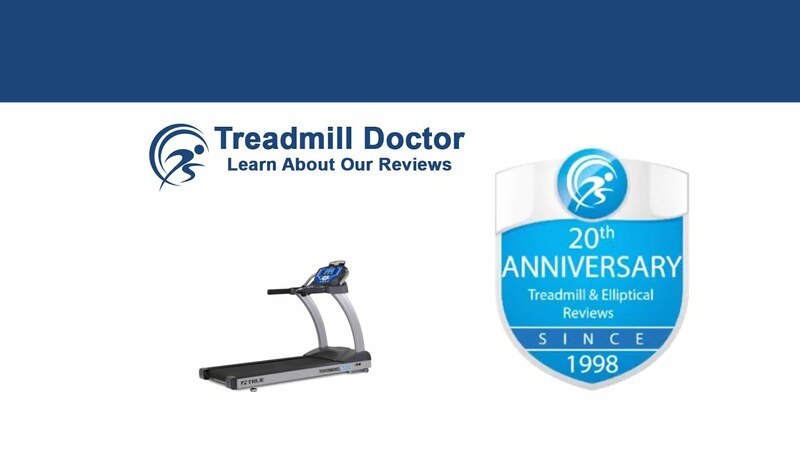 We have said that this elliptical does not have the quality features to justify the price. Even though the Elite E9 has the most built-in workouts out of our top four and a heavier flywheel, we are not as pleased with the quality of this elliptical's build. Still, we do recognize the amount of value in the Horizon warranty that comes with this model. Thus, we would recommend our 2019 Best Buy Runner-Up in the $1,500 to $1,999 dollar range for a light-moderate user who can find it on sale.